Home / Entertainment / Madonna, the queen of pop, turns 60 today! The “Material Girl” star has carved her way into becoming an icon of pop culture with continuously reinventing her music as well as her style. American pop superstar Madonna, who turns 60 on 16 August, is a proof that age is just a number. The “Material Girl” star has carved her way into becoming an icon of pop culture with continuously reinventing her music as well as her style. Ever since she soared high on the charts in the 1980s, the queen of pop has been unstoppable and set fashion trends across the globe influencing millions. Apart from wearing and promoting fashions from established and lesser known fashion designers, some of her appearances has been inspired by some of the legendary fashion icons of the past including Marilyn Monroe, Marlene Dietrich and Horst P.
On the occasion of her birthday today, here’s a look back on how she changed the world of fashion with her iconic looks and eccentric fashion sense over the years. Sporting a bull-fighter look at the Grammy’s, which was a theme for her next few appearances in the same month. 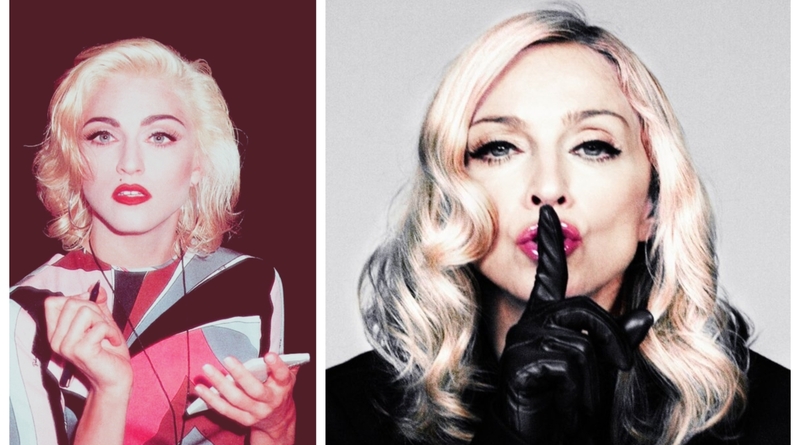 Madonna reminds everyone who the queen is. Blurring the gender lines here, Madonna yet again breaks stereotypes in a tailormade Ralph Lauren suit. Stealing the show at the New York Metropolitan Musuem of Art, adhering quite rightly to the theme “PUNK: Chaos to Couture” in a custom Ricardo Tisci blazer dress. Upping her style file outfits, the half-time at the Super Bowl saw Madonna in a Givenchy Haute Couture by Ricardo Tisci, adorning a glittering Cleopatra gown. Draped in elegance in a Stella McCartney dress with Cartier jewellery and Sergio Rossi heels at the ‘Alexander McQueen : Savage Beauty’ costume institute gala in the New York Metropolitan Musuem of Art. A silver crocheted tunic and over-the knee Stella McCartney PVC boots, at the Fashion Delivers gala in New York.